Little House Companion: "There Were No People"
"There were no houses. There were no roads. There were no people. There were only trees and wild animals who had their homes among them." 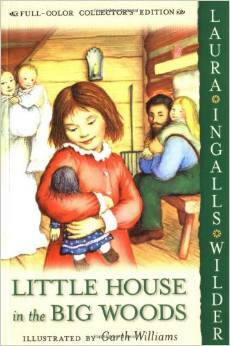 The introduction to the Little House series, Little House in the Big Woods, paints a lonely and bleak picture of the Big Woods of Wisconsin on the very first page. As the readers continue in the book, they read about more than just the immediate family. Relatives visit, and Laura and Mary visit a neighbor, Mrs. Peterson. Mary, Laura, and Carrie even take their first trip into Pepin before the end of the book. The Ingalls family were alone with no neighbors within earshot, but there were folks within walking distance. LIW writes of a road to Pepin, though it may have been just a trail. 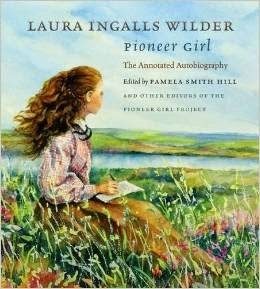 Do you like how Laura Ingalls Wilder begins the book or do you feel it misleads the reader? 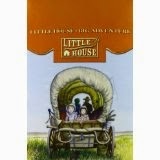 Don't forget, the Little House in the Big Woods discussion guide which is great for parent read alouds or book clubs.